Licensed Electricians - An electric repair project needs to be diagnosed quickly and repaired properly, in order to keep your home or business safe. 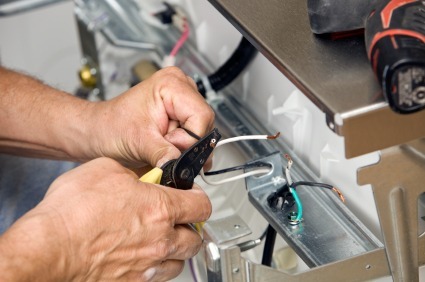 Extreme Electrical Service LLC has been handling repairs of all sizes since 1997. Our licensed electricians have the proven skills to locate and fix your electrical problem quickly. Prompt Service - Many electric repairs are urgent, and present a very real danger if left unattended. Extreme Electrical Service LLC offers prompt service across the region, with short lead times and excellent customer communication. Every job is important to Extreme Electrical Service LLC, no matter how large or small. And repairs are always handled professionally and promptly. Reasonable Prices - The trained staff at Extreme Electrical Service LLC offer excellent service in a timely manner, and all for an affordable price. Forget about tackling an electric repair on your own; trust the professionals and you'll be pleasantly surprised at the final project price. Reliable electrical services are well worth the investment and Extreme Electrical Service LLC offers reasonable rates for specialized service. An electric repair needs the attention of a licensed technician, and the problem needs to be looked at fast. Extreme Electrical Service LLC is ready to handle your electrical issues, and offers reasonable rates for their reliable services. Call (816) 548-1162 today and book an appointment to have Extreme Electrical Service LLC repair the electrical problems in your home or business.